Advertisers are increasingly able to measure how music affects us – and, with its influence over both minds and bodies, it’s a vital tool for engaging audiences. 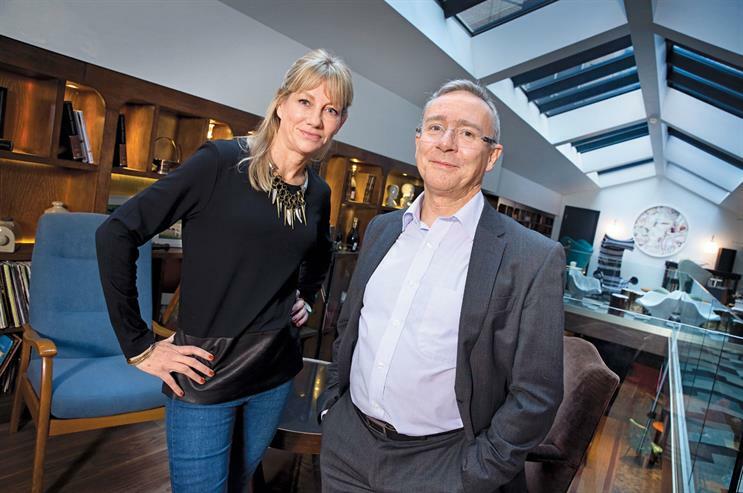 Global’s Jo McCrostie sat down with Les Binet, the head of effectiveness at Adam & Eve/DDB, to discuss how they’re refining the use of audio in advertising – from new ways of briefing composers to changing listeners’ mind states. Jo McCrostie Briefing composers can be tricky. I’ve been known to fill multiple pages of A4 with scribbles, drawings, adjectives and metaphors in an attempt to communicate what a 30-second piece of music has to do. How it should sound, how it should start, develop and work with the copy. How it represents the essence of the brand. The instrumentation, the tone, the melody and rhythm. What it should make the listener feel. It can be a struggle. If I could literally communicate what I was trying to convey through language, then I’d just use language. And images. But music is far more eloquent and articulate than language. It instantly moves us – and in a non-visual channel such as radio, it immediately "locates" us emotionally. As Tolstoy famously said: "Music is the shorthand to emotion." Les Binet I definitely agree with you, Jo. Music is the purest form of emotional influence. I defy anyone not to have an emotional response to music; it is involuntary – be it making them cry or giving them goose pimples. And that matters, because neuroscience tells us that emotions are key to how people make decisions, including buying decisions. Music increases attention, recall and purchase intent. And our research with the IPA suggests that getting the music right can increase effectiveness by 20-30 per cent. But "getting it right" isn’t easy. Music briefs are often incredibly vague, which is why we’re working with the music psychologists at Goldsmiths to devise a more precise language for briefing composers. JM Music can build webs of emotional brand preferences, and we are influenced by music through both active and passive reception of audio. Even when we’re not "listening" to sound, we "hear" it. As Joshua Leeds reminds us: "We don’t have earlids; our auditory system must work 24/7." LB And, of course, one of the most important forms of audio is still radio. If you include online, the average Briton listens to nearly 2.5 hours of radio a day, which is second only to TV. Radio can be a very emotional medium – and not just because of music. Talk can be highly emotional too – just listen to some of the phone-ins on LBC! That combination of talk and music can be really powerful – in fact, research suggests that, of all the main media, radio has the biggest effect on the audience’s mood. JM A good example of how music affects our mood is on Classic FM. The theory of the Mozart effect states that listening to classical music can help focus the mind and improve brain performance. Every year, during January to April, half the Tweets, e-mails and texts we receive during Classic FM requests are from students. We see this surge in engagement from younger listeners during revision time as they try to improve their ability to concentrate and finish tasks. There is a massive new audience of engaged listeners – 15.8 million people are streaming audio each week, double what it was 18 months ago. The Digital Audio Exchange has been created to give advertisers access to this fragmented yet brilliant array of digital audio brands. It’s made up from an audience of elective, engaged listeners – their reception is more active and primary and, significantly, 65 per cent of them will be plugged in to headphones. This offers the listeners a more immersive experience. Music affects us psychologically but it also affects us physiologically, and this is most effective with headphones. We’re excited to be exploring the opportunities this presents for advertisers and how creatively you can experiment with changing listeners’ mind states. For example, sonic neurotechnologies such as binaural beat frequencies can change brainwave states to suit a specific task in hand. A recent example of this is Deli Star, a coffee advertiser in Germany that commissioned audio tracks with a 15Hz frequency difference in each ear to make listeners feel more awake. Now, if you can alter mind states by music, that surely creates opportunities for us, Les? LB That is the great thing about audio: it creates massive opportunities for advertisers, in terms of long-term brand-building and immediate sales activation. Sales efficiency directly influences the return, which brands make on their marketing investment. IPA data suggests that campaigns including radio have a much higher financial return than those that do not; this is in line with previous research for the Radio Advertising Bureau, conducted by Holmes & Cook in 2013. This showed that, on average, advertisers get nearly £8 back for every £1 they spend on radio. JM We consume music actively and passively, explicitly and implicitly. And it gets to us in a way that images and language cannot. If a picture paints a thousand words, then music paints millions of pictures.